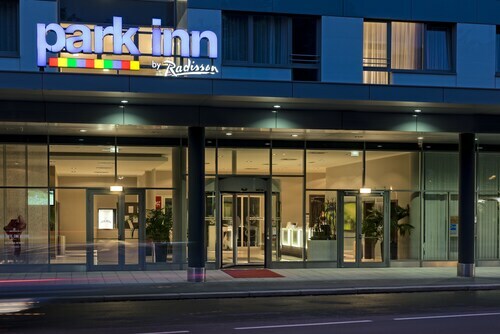 Located in Linz-Land District, this hotel is 0.8 mi (1.3 km) from PlusCity and within 9 mi (15 km) of Linz Botanical Garden and Musiktheater. TipsArena and Linzer Stadium are also within 9 mi (15 km). Traun Station is 25 minutes by foot. Located in the heart of Linz, this eco-friendly hotel is within a 10-minute walk of Casino Linz, Carmelite Church, and Nordico Museum. Ursuline Church and Bishop Building are also within 10 minutes. Linz Central Station is 18 minutes by foot. Located in the heart of Linz, this hotel is within a 5-minute walk of Casino Linz and Musiktheater. Carmelite Church and Ursuline Church are also within 10 minutes. Linz Central Station is 12 minutes by foot. Located in Linz-Land District, this hotel is within 9 mi (15 km) of St. Florian Monastery, Upper Austrian Fire Museum, and PlusCity. Musiktheater and TipsArena are also within 9 mi (15 km). Located in Linz-Land District, this golf hotel is within 9 mi (15 km) of PlusCity, St. Florian Monastery, and Upper Austrian Fire Museum. Musiktheater and TipsArena are also within 9 mi (15 km). Ansfelden Nettingsdorf Station is 27 minutes by foot. Located in the heart of Linz, this hotel is within a 5-minute walk of St. Mary's Cathedral and Ursuline Church. Linz State Theater and Old Cathedral are also within 10 minutes. Linz Central Station is 20 minutes by foot. Situated in Marchtrenk, this hotel is within 6 mi (10 km) of Salome Alt House, Burg Wells Cultural Center, and Stadtmuseum Wels Minoriten Archaeological Collection. Stadtplatz and Welios Science Center are also within 6 mi (10 km). 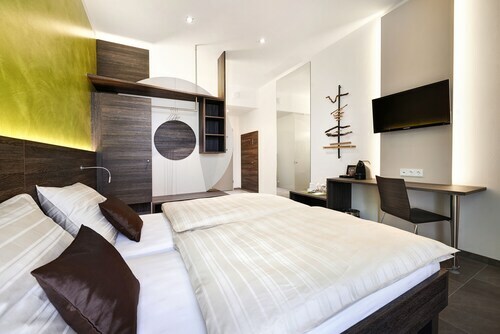 Located in the heart of Linz, this hotel is steps from Linz Landhaus and Bishop Building. St. Mary's Cathedral and Linz State Theater are also within 5 minutes. Linz Central Station is 20 minutes by foot.